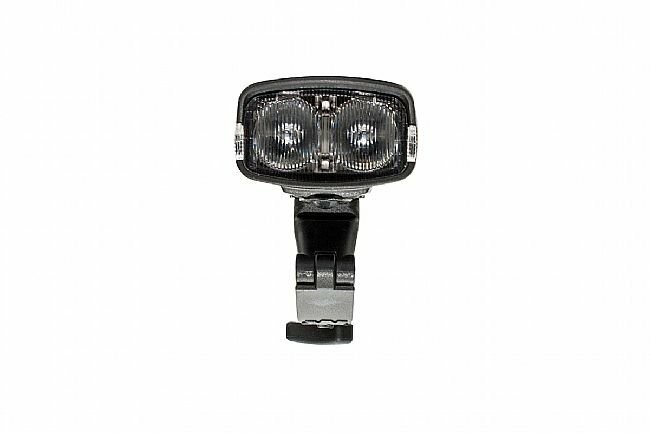 Niterider's Lumina Dual 1800 Front Light produces a far-reaching beam pattern with extensive peripheral illumination. 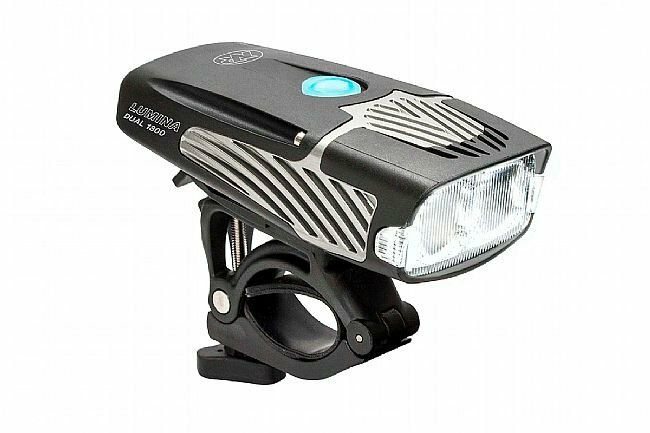 The dual LED set-up emits 1800 lumens while in Boost Mode, making it one of the brightest self-contained bike lights out there. When in Boost Mode, the power button will illuminate red and blue to notify the user at a glance. 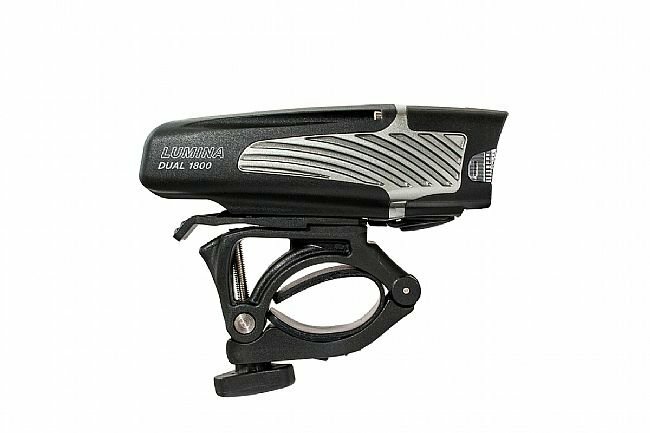 The Dual 1800 is also equipped with side lighting to increase visibility day or night. 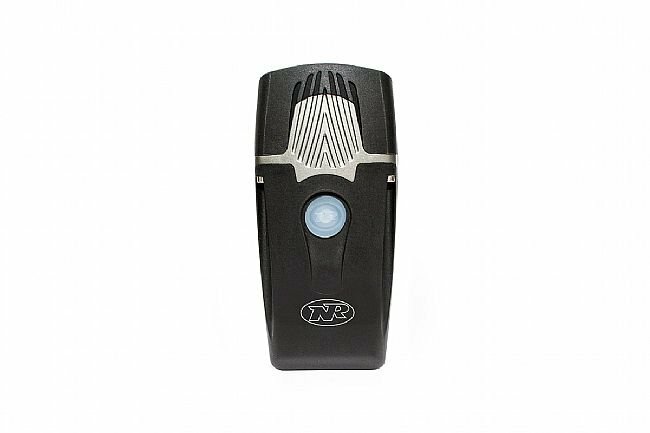 Meeting an IP64 rating, the Dual 1800 is designed to be used in a variety of riding conditions thanks to its high resistance to water and dust. Its high-strength Dupont fiberglass reinforced nylon body casing and aluminum heat sink are engineered for extreme resistance to cracking and abrasion. 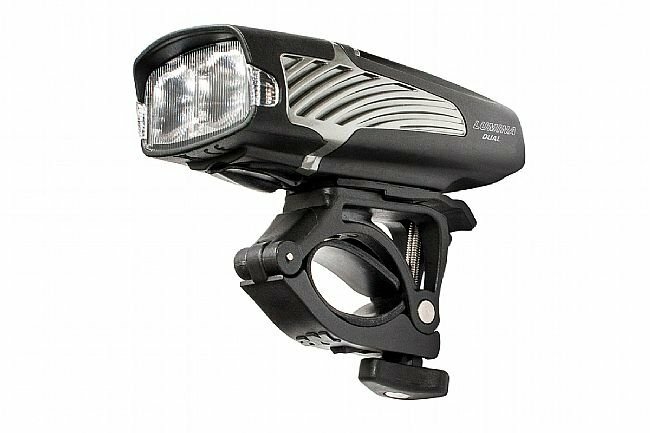 5 light levels plus 2 Daylight Flash Modes. Secure on/off-road capable bar mount. Fits standard and oversize 35mm handlebars. Fast 3 hour charge; included AC power charging adapter. 6hr runtime at 350 lumens in Low Mode.